Meet the SEEN team at Social SEEN 5:30-7 p.m. Thursday, Nov. 8 at Vinotecca in Birmingham. Come enjoy happy hour and meet the editors, designers and staff who produce SEEN Magazine! 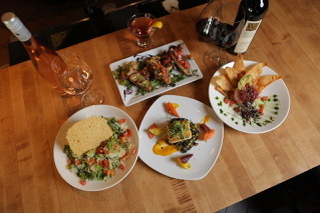 Vinotecca features a wine bar, small plates menu and world cuisine along with live musical entertainment. Social SEEN guests will enjoy complimentary appetizers and a cash bar. Sign up below for November’s Social SEEN! How did you hear about SEEN Social Hour?